Home » Credit » Loans » Save Money » Why 0% EMI Schemes are not really Interest free..? Why 0% EMI Schemes are not really Interest free..? Do you really think that the interest free or 0% EMI schemes offered by companies are actually interest free? Have you ever wondered why any company or a bank would offer you something free of charges? If you are not able to understand this, then you are the person who is being lured by the companies in the form of interest free or 0% EMIs schemes to purchase high cost consumer items you have been vying for. What are interest free or 0% EMI schemes? EMIs or Equate Monthly Installments means that you can buy an item of high value today for which you can make payment by EMIs in pre-decided period of time with or without interest. Banks temp consumers to make big-ticket purchases by offering to break up credit card payments into EMIs or Equate Monthly Installments Consumer durable manufacturers offer the zero per cent facility mostly on high-value products such as smartphones, LED TVs and premium home appliances. There are many hidden costs which the consumer fails to identify and becomes a loser..
No Discount: If you opt for an EMI finance scheme, you forgo the discount which is available on an upfront payment. More Charges: You pay more charges in the form of processing fees, file charges and shipping or installation fees. Additional Credit card debt: You are tempted to buy through credit card which ultimately adds to your debt. 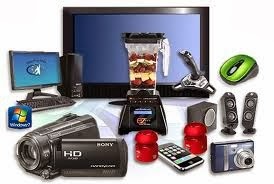 Buying stock clearance items: The easy finance schemes are used by retailers and manufacturers to clear the inventory of goods. · At an EMI of Rs 5000 for 6 months, you pay 31500 along with processing fee. This additional money of Rs. 4500 is 16.66% extra for a period of 6 months with an annualized rate of 33% interest. The interest component in a zero per cent scheme is often camouflaged and passed on to consumers in the form of a processing fee and charges. The concept of zero per cent interest is non-existent and cannot be.